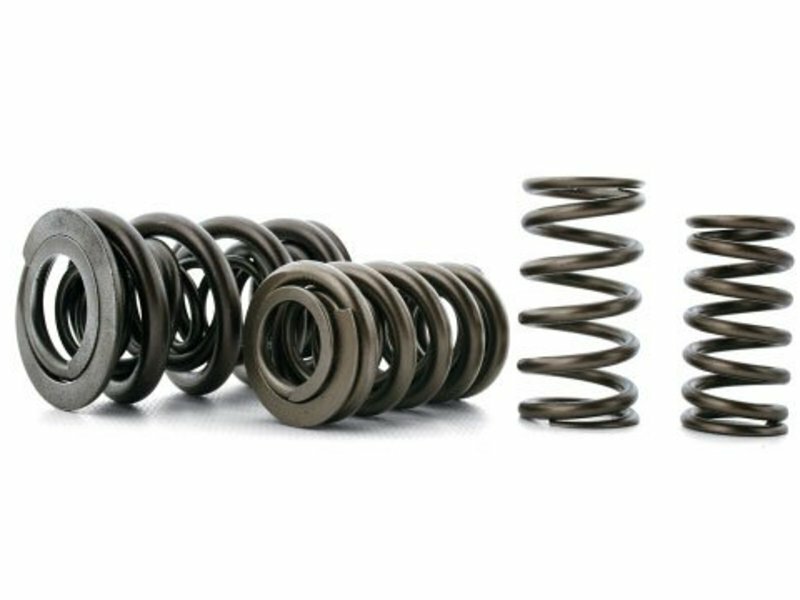 Ferrea valve springs are developed from high strength alloys, including premium grade chrome silicone steel These springs are manufactured with state-of-the-art equipment. Ferrea springs are heat-treated and stress-relieved, which dramatically increases the spring's life. Strict quality control procedures and cycle testing ensures consistency from batch to batch. Ferrea valve springs provide the stability needed for high lift, high rpm racing and street car engines. Kit includes a set of 24 springs. MUST be used with the Ferrea Spring Seat and Titanium Retainers. See links below.